* You will get one amazing DOTD Skeleton! They were each handmade in Mexico, so they are very authentic! 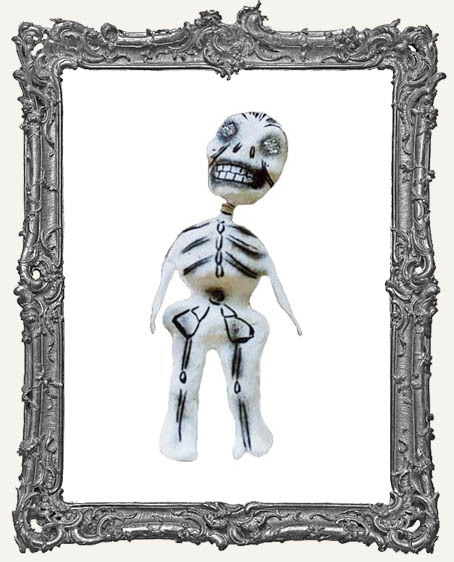 * Each skeleton measures approximately 7.5" tall x 3.5" wide. Generously sized! * He or she has a fun bobble head on a spring! * These are handmade and hand painted so there will be some variation. They have amazing detail and the backs are also painted. The eyes are colored glitter. * You can embellish these skeletons further with rhinestones, bows, flowers, etc. 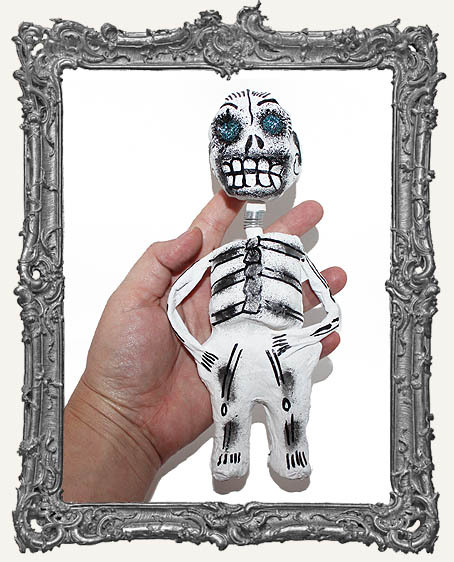 * Great for your Dia De Los Muertos art!